Introducing thebisson to the world and visa versa! 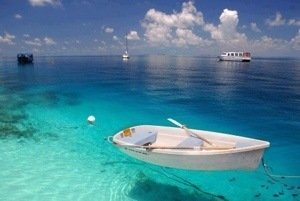 Hello from a very mellow me…I feel rather like I’m floating through the morning here…how are you? The reason? Something happened in my yoga practice which switched this feeling on. I started with a few minutes spinning just to warm up my spinning…and that’s standing on the spot swinging round to one side and then the other, not on a bike, folks! Then moving through my poses until Shavasana. I settled down into it, releasing the tense spots, which always surprise me that they exist! Somehow it didn’t last long so I moved on to my Om chant, which seems to be getting stronger and longer as I practice. I finished that when it felt right, and just sat….and sat…I don’t know how long passed, but I felt my gentle smile, felt my spine lengthen, felt grounded and connected with the sky too… and now feel very mellow. Do you ever get into that state? Isn’t it lovely? I wonder how long it will last. I’m off with the dog to do some hill walking above Hastings so we shall see! Namaste, Dear Reader. Have a good one! This morning, feeling that suddenly the Universe has dumped a whole lot of age on my body (ok, I mean I’ve put on a load of weight & haven’t moved enough recently – the effects are the same! ), I actually managed to do a yoga practice. You know that moment when everything aligns, your mind stills, your heart slows, and the vibrations from the sound you make fill you up? ….It was one of the best ones I’ve ever managed! I couldn’t stop!! Again and again I felt myself fill up with vibration, sound and then laughter…the only reason i stopped was I wanted to laugh out loud – so I did! A few tears came with the laughter, which was great; a sense of release and peace came then. I am very grateful for that. SO, after breakfast I signed up to Curvy Yoga for a year of monthly practices, and (once I get my password right (!) ) look forward to joining in with other curvy yoga folk. Right, am now feeling the chill from sitting still so will get up and get moving. This morning I really needed my Yoga. if you have read my previous post you will know some very deep emotions have been brought to the surface following some dreadful news. The news has brought up feelings of grief from somewhere deep inside, that I thought had subsided. After a wonderful practice where we ends dup with our legs posed weightless in the air we prepared for Shavasana, and I brought my legs down with the soles of my feet together and my knees falling apart. I think this is a pose which helps release emotions, and is one that is almost a default for me. Andrea asked me if I would like to rest in this position for Shavasana instead of my usual one with a wedge under my legs, as I looked so settled. She put a bolster either side of me under my knees to make sure there was not too much of a stretch getting in the way of my mind, warm pads on my palms, on my stomach and over my feet, a pillow under my head, and a blanket over me. We settled into the pose. At first I found it difficult to let go, but then, as my breathing slowed and deepened, I suddenly felt this huge weight lift off my chest, almost pulling me up; there was this bright light coming towards me, and in the centre was an eye shape. All sadness seemed to go, and I felt happy. I think I was smiling. Then I coughed and normality resumed…well, almost. The sadness I had brought with me no longer seemed trapped inside. After the class Andrea spoke to me and suddenly I was crying, telling her about my friend, about my daughter, my family! We talked for an hour, and shared our griefs. She told me off when I tried to apologise for holding her back, bless her. Now, although I am still sad ( not strong enough a word) about my friend, I feel I have been given permission to acknowledge that I have feelings of grief about her; that it has brought up feelings of grief about my daughter; that I am different from others who don’t have these griefs. I will not bottle them up any more. Bit of a shame it’s called The Corpse pose tho!! I have just done my Yoga practice…not a long one; I am getting back into it after a couple of weeks break…for no reason other than laziness. 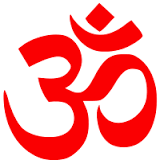 I like ending my practice, before an affirmation, with saying Om. I am still trying to find the right pitch for me – the vibrations inside tell me when I’ve got there. Today I didn’t quite find it. Nor did I manage the “perfect” transition from Ah to Mm. So I repeated it until I felt better, felt the vibrations where I wanted them. This doesn’t matter. After all, it is Yoga Practice. So long as I am comfortable with my result, then I have done a good practice. This, again, may not be a correct type of affirmation, but it was what came to mind. So, for me, this was a good practice. Tomorrow may be better. Author thebissonPosted on August 12, 2013 Categories YogaLeave a comment on The Perfect Om? I managed to quiet “the chattering monkeys” and meditate too, and whilst I was on my back being quiet and feeling the ground beneath me I suddenly yelled..
And you know what? It’s true! I am! Now, you can have a good laugh at this – I did! But for some folks loving themselves is quite a difficult concept. There may be many reasons for this and each one is individually important to that person. I’m not going to bother to think about what my reason has been… The most important thing is I AM WORTH LOVING! I think I did it at the wrong moment in my practice according to the book, but WHO CARES? It has led time with a fabulous feeling of strength, purpose, and warmth. At the risk of sounding like an old hippy – May you feel as fabulous as this today! After all we are ALL worth loving! I’ve Got The New Knee! Jayne Cox on Oh no…my fault! Teenage Caner Trust website A wondeful charity working to help make life better for teenagers suffering with cancer.